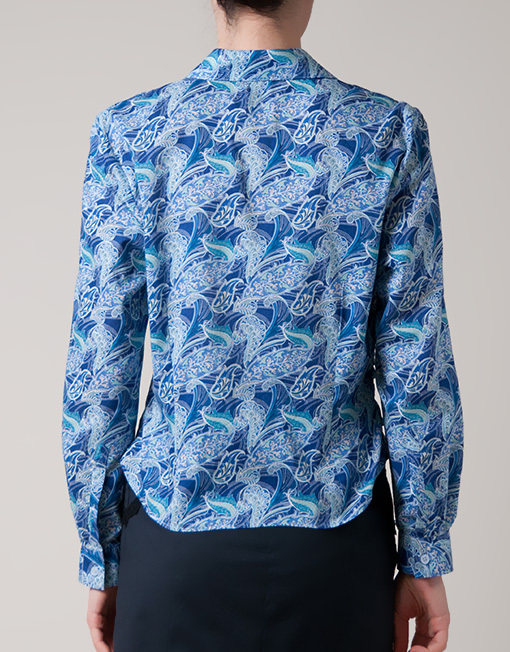 Blue cotton blouse with long sleeves and draped front panel. We give this 100% cotton shirt stylish spin with intriguing front panel. Care instructions: turn garment inside out; gentle cold hand/machine wash separately; do not soak or bleach; dry in shade without delay; warm iron. The blouse is from our 'Be Unique' range. It is made in one copy only and will not be duplicated. Categories: Tops, Women. Tags: blouse, blue, long sleeve, pasley.